Barry and Teresa Lassiter of Valley Falls and Keith and Jody Holthaus of Holton are happy to announce the engagement and approaching wedding of their children, Kayla Lassiter and Wes Holthaus, both of Ozawkie. The bride-to-be graduated from Valley Falls High School and received a bachelor’s degree in science underneath an athletic training degree. She is currently employed by CGB-Diversified Crop Insurance Services of Topeka. The future groom graduated from Jackson Heights High School and has a degree in electric power and distribution from Manhattan Area Technical College. He is employed by Free State Electric Cooperative of McLouth. 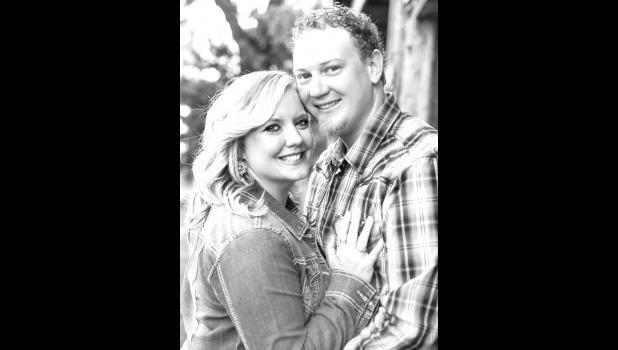 The couple will wed Nov. 3 at Renyer’s Coach House in Wetmore. They plan to take a cruise to the Eastern Caribbean for their honeymoon.